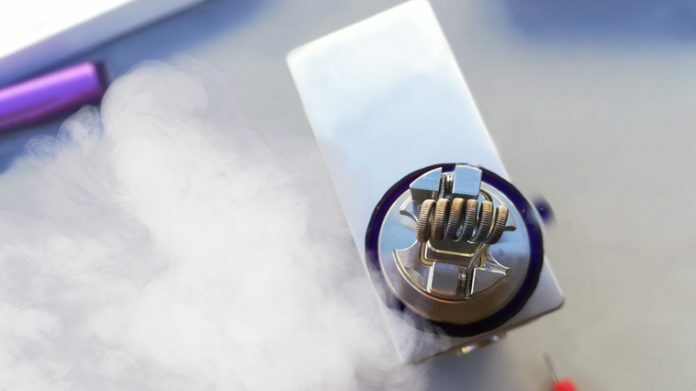 Squonkers have really exploded in popularity over the past few months. 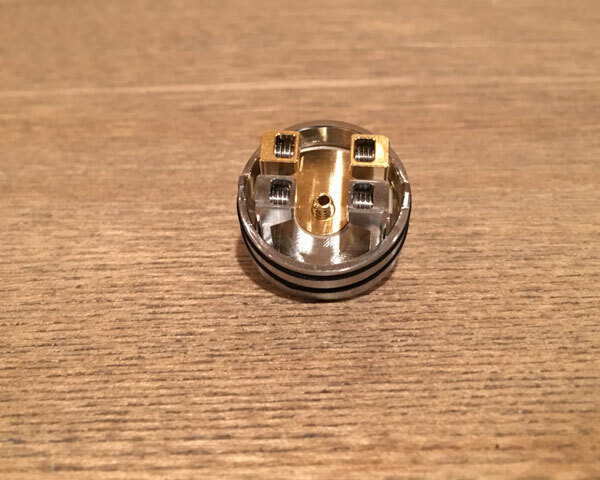 Many popular RDAs include the specialty 510 pins required for squonking. The steps required to install a a new 510 pin are as easy as 1-2-3. Today, we’ll walk you through the process! You should really get to know your 510, even if you’re new to vaping. 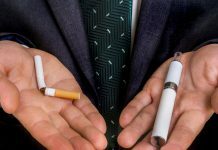 If you’ve been vaping for awhile, chances are you’ve probably adjusted the pin to some extent . 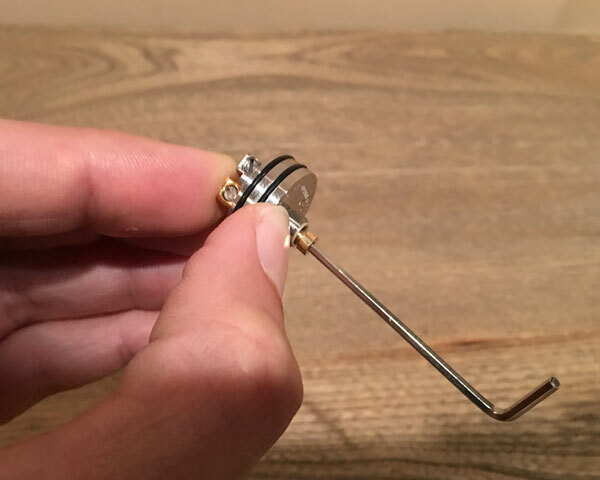 The 510 is perhaps the most important piece on any topper, as it makes direct contact with the spring-loaded 510 connection on your device. 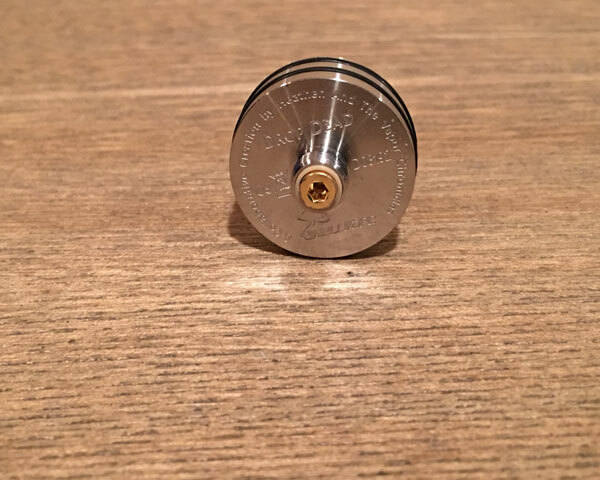 For mechanical mods with a hybrid style connection, using a topper without an adjustable 510 is a BIG NO NO; this is because the rda/rdta makes a direct connection with the terminal of the battery, so if it’s not properly adjusted, it can cause failure. 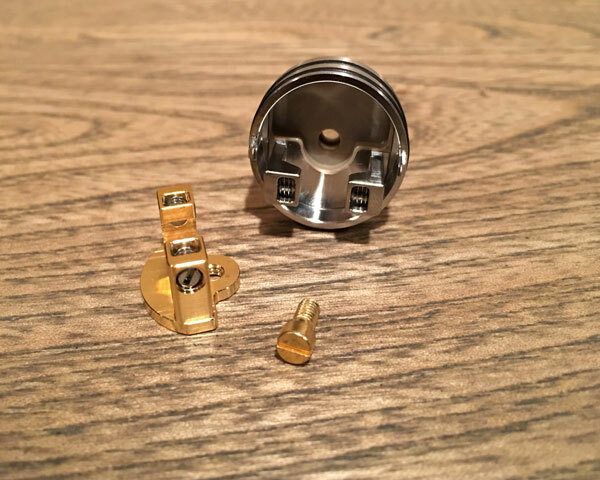 Today we walk you through 510 pin removal on an RDA (I’ll be using the Drop Dead from HellVape), and how the necessary steps you must take to replace the 510 with a squonk compatible style pin. Limited tools are required for this job. 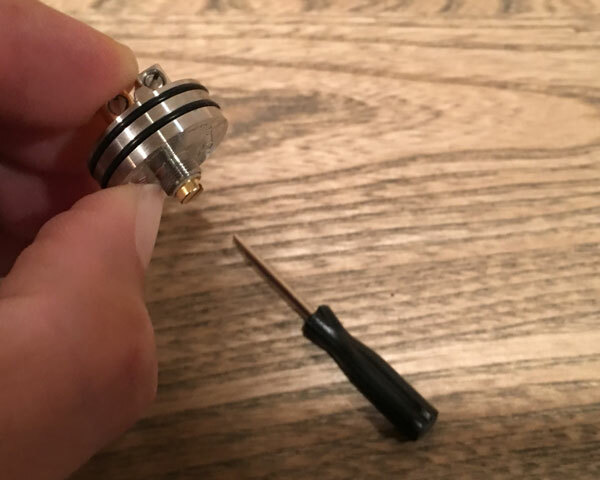 You’ll need a small flathead screwdriver, squonking pin, and a correctly sized allen key. First things first. You’ll need to take your flathead screwdriver and loosen the 510 pin on the bottom of your topper. While holding the positive side post, turn the 510 counter clockwise, until it has been loosened enough to turn with your fingers. I recommend starting to tighten the new pin by hand first (no one likes a cross-thread!). 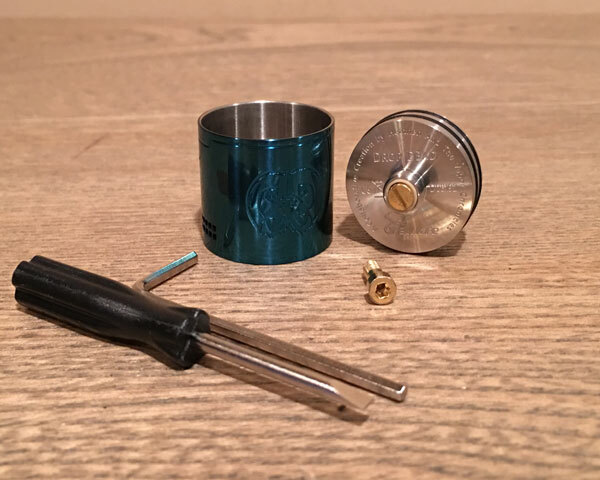 Then, while holding onto the positive pin, finish tightening your new squonking 510 with the provided correctly sized allen key. Turn the key until it has been secured in the bottom of the topper, and the positive pin does not wiggle back and forth. 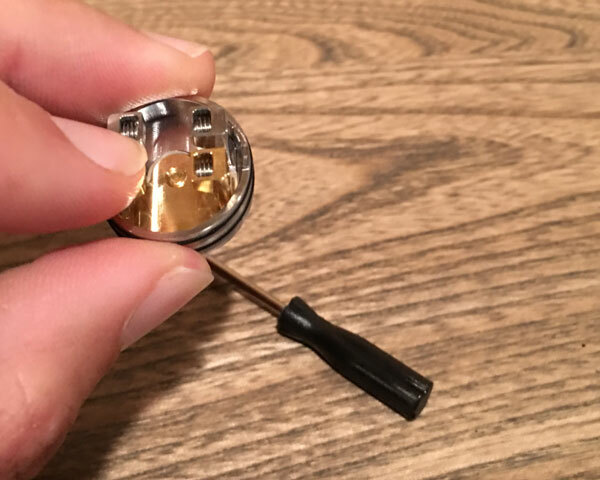 When you are done, check the squonking pin once more to make sure it has been tightened all the way, and that the positive post does not wiggle or make noise any noise (pick it up and give it a shake if you have to!). On the Drop Dead RDA, the squonk pin protrudes up through the positive post ever so slightly. Ok, so this isn’t really a necessary step to the install, but it can save you a lot of frustration. 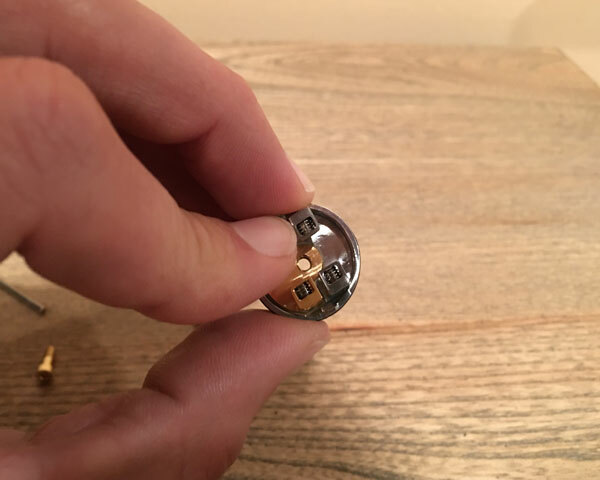 After you have you new pin set and ready to go, take some extra time, and find a place to store the old pin. I like to store my pin in one of the spare parts bags provided with any RDA/RTA/RDTA, and keep it in the box; that way there’s no mistaken what device it belongs to!